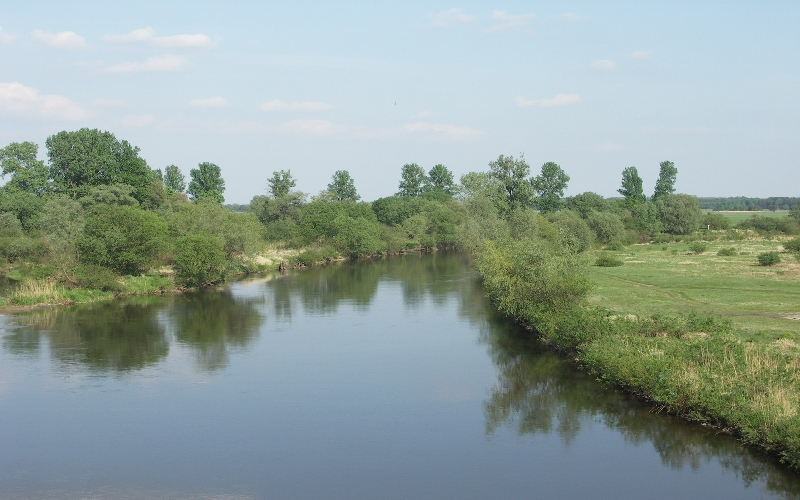 The site is located in the middle course of the river in the Warta Landscape park. The restoration actions were undertaken as a compensation project for losses caused by constructing a highway that damaged the other stretch of the river belonging to the Natura 2000 area. To protect meadows located in the valley bottom against floods and to enable their intensive use as pastures, this stretch was embanked in the past. The pressure has resulted in cutting off the floodplain from the river by embankments and therefore it stopped flooding of the area. It has caused losses in productivity of meadows and biodiversity, especially birds. The restoration actions were performed in the years 2006-2008. The main implemented measures are related to re-connecting the river with oxbows and floodplain by building culverts, lowering the embankments at some points and clearning the old connections.